This is an editorial spread that I created for a photograph that I found. 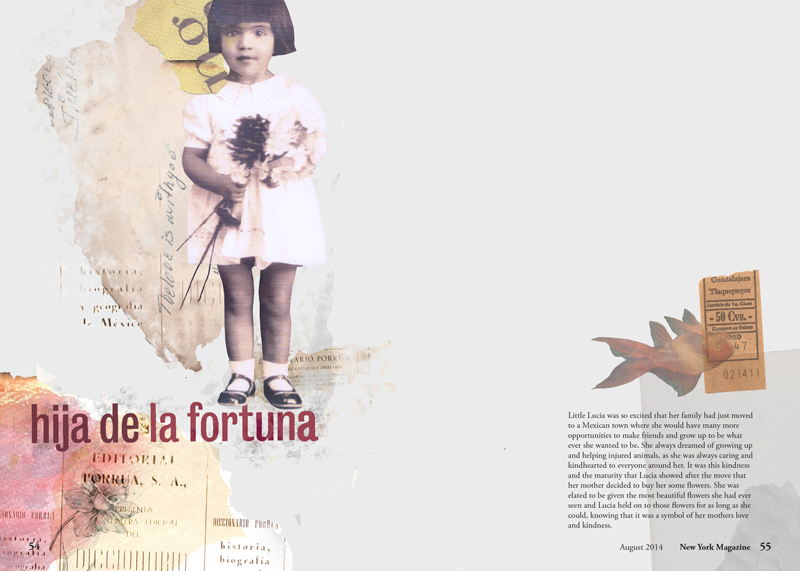 I wrote a story for the girl and experimented with textures, found type, and different imagery to try and illustrate that story. The Cookooburrahs and the Goolahgool is an old tale from Australia that was retold by Mrs. K. Langloh Parker in Australian Legendary Tales, 1896. This tale tells the story of neglectful parents who get some harsh justice for leaving their poor children with no water. Thumbnails were sketched for layout options, followed by character design, and the experimentation of many textures were explored in order to create the composition.